If you are looking for Hastings Paintball, then Action Packed is the place for you. We are the central outdoor paintball location in the Twin Cities and the premier Minneapolis area location close to Hastings. Action Packed Paintball Games offers every type of paintball terrain from Speedball to Civil War battle enactments. If you’re looking for a place to make a Hastings Paintball reservation, Action Packed is the perfect place for and your party to do so. We specialize in birthday parties, bachelor parties, bachelorette parties, corporate team building activities and more! 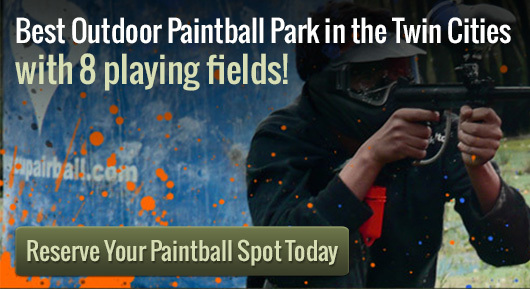 As Minnesota’s paintball party headquarters, you won’t find a better place to host your upcoming birthday party or bachelor party. Please visit our website to see our policy and requirements for reservation games. We pride ourselves on affordable paintball pricing and great rental equipment. Our experienced staff is friendly and here to ensure your party has a safe and fun event! If you are planning to join us for some fun Hastings Paintball, we have directions available directly through our website. Schedule your party today or walk in on the weekends and mix in with the crowd! Check out our other locations in Jordan, Minneapolis and Saint Paul.